Posted on November 18, 2013, in Healing, SOAP and tagged Christianity, faith, God's presence, Great Commission, healing, kingdom of God, sharing our faith, speak blessing. Bookmark the permalink. 3 Comments. Hi Simon, I am really impressed with what you are doing there. A great talk and a great ministry. It is also awesome to see that you have a bunch of helpers/fellow ministerers (not sure if that is a word, but is is now). God bless you buddy. Thank you Jason, I appreciate your encouragement. 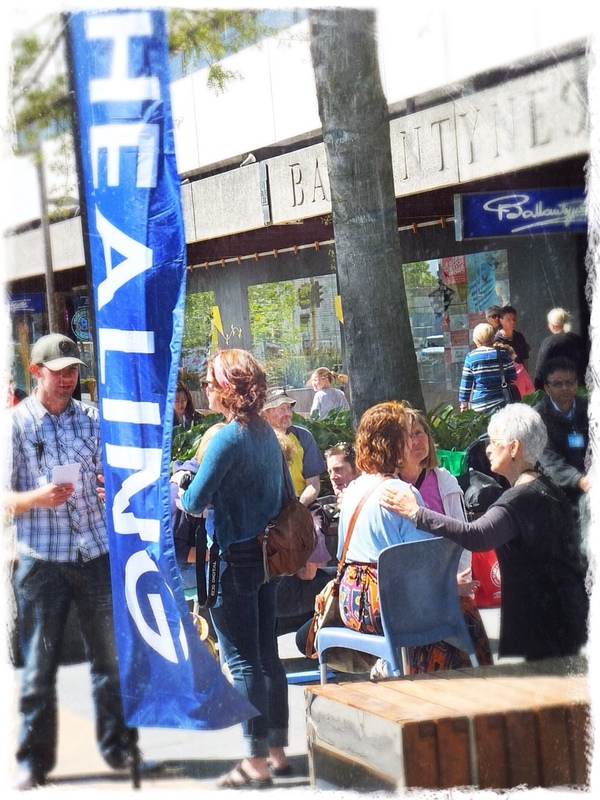 It’s still early days for us with Healing on the Streets, but we have a great team, and are looking forward to having many opportunities to talk and pray with people over the coming months and years. Stepping over the “chicken line” only helps to prove what we all probably suspect, that fear is just something in our head.